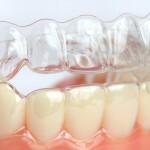 Home » Dental Blog » General » Does Invisalign work? “Does Invisalign work?” is a question Dr Joseph Paino is often asked. This is not easy to answer without considering many factors. Firstly, before I discuss “Does Invisalign work?” I will explain what is Invisalign treatment and what is Invisalign made of. Invisalign treatment is an orthodontic procedure that is designed to move teeth without braces, wires or brackets. Invisalign treatment is used to straighten crooked teeth, overlapped teeth, close spaces or gaps between teeth, fix overbites, underbites, protruded or buck teeth. The Invisalign aligners are worn for 22 hours day and night. They are only removed when you brush or eat and changed to a new set every two weeks. 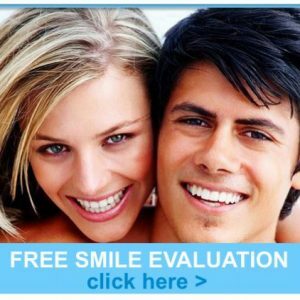 Often you will need to see your Invisalign provider every two months to make sure your Invisalign treatment is working according to the computer modelling created from digital scans of your teeth known as Clincheck. Putting it simply, Invisalign is made of a series of durable and clear medical grade thermoplastic and are known as Invisalign aligners. They are very much like molded plastic retainers that fit very snugly over your teeth, similar to eye contact lenses. Being so thin and clear the Invisalign aligners are virtually undetectable and often called Invisible braces, clear braces or Invisalign braces. So now we can discuss “Does Invisalign work ?”. The question”Does Invisalign work ?” actually depends on many factors and the first thing that needs to be considered is “how can a very thin thermoplastic Invisalign aligner actually move teeth in the first place?” Well with any movement, a force is required and this force is due to the fact that each Invisalign aligner is just ever so slightly different to the previous aligner. These slight differences means that certain teeth don’t actually fit properly in the aligner and this places extra force on the tooth so that it gets pushed into a more comfortable position. And because the variations from one aligner to the next is very slight, the amount of force applied to the tooth is very low intensity over the entire two week period. This is also due to the high elasticity of thermoplastic aligner material and is known as SmartTrack. This in turn means small forces can be applied over a fairly constant period of 22 hours per day and still have a huge impact in moving teeth gradually, very predictably and ever so comfortably. Does Invisalign work in every situation? It depends on the situation. If the tooth is unhealthy or the tooth’s new position is not done in an incremental fashion it may not track properly. Therfore, the movements prescribed on the computer modelling need to be well designed. For example if a round shaped tooth has to be rotated or a tooth needs to be extruded it will not move with a piece of aligner plastic wrapped around it as no force can be effectively applied to the tooth’s surface. This is why resin bonded attachments or bumps are temporarily placed on certain teeth to help create surfaces that allows the Invisalign aligner to apply a small but fairly constant force directly onto the resin bonded attachment. How does Invisalign work on a biological level? The fact that small forces can move teeth gradually into a better position can be explained on a biological level. It’s important to understand that these forces cause the bone surrounding the tooth to slowly remodel. This occurs on a cellular level. The bone cells that are under stress due to the forces placed on the tooth via the Invisalign aligner will dissolve. This is known as osteoblastic activity. The bone cells behind the area of force actually grow. This is known as osteoclastic activity. 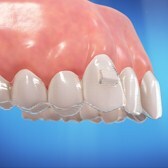 This causes movement or translation of the tooth into a position determined by the computer modelling called Clincheck. Are there any situations when Invisalign will not work? Yes. For example if the jaws do not meet together correctly, jaw surgery may need to be considered in order to achieve the desired outcome or a limited outcome may need to be considered. Other considerations are dental implants cannot be moved with Invisalign or braces. Can teeth move back (relapse) after Invisalign treatment? Yes. If a tooth is moved into a position that doesn’t balance comfortably into the bite or the surrounding structures pushing onto the tooth such as the lips, tongue or cheeks are not properly balanced with the exact opposite force, then these natural forces could move the teeth back to their original position. This is known as orthodontic relapse. Note that all types of orthodontic treatment rely on forces placed on the teeth. This includes braces (brackets bonded to teeth connected to flexible wires) and plates. And, this also means that any type of orthodontic treatment can undergo orthodontic relapse. How can I prevent relapse after Invisalign treatment? So the answer to the question “Does Invisalign work?” is yes but there are certain requirements. Does Invisalign work in every situation. The answer to this is “no”. Also, and this is the most important consideration, your Invisalign treatment requires very thorough planning which involves cad cam type computer modelling (Clincheck) so that the forces applied to the teeth are gradual. This allows the biological changes that occur on a cellular bone level are given adequate time to take place. The attachments also need to be appropriately placed to help create an area were the correct force can be applied. Although the answer to the question “Does Invisalign work ?” is often yes, please ensure you are properly assessed to see if Invisalign is suitable for your individual circumstances. If you need a very experienced and highly regarded Invisalign dentist, Dr Joseph Paino (Elite Platinum Provider) at Enhance Dental will confirm if Invisalign can work for you. 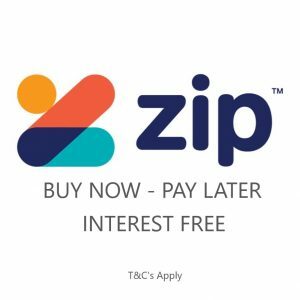 Simply call (03)9533 8488 and speak with one of our very friendly staff members for a no obligation Invisalign complimentary assessment from 7.30am every week day.